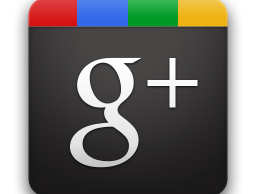 Are you on Google+? If yes, then here is a good news for you. 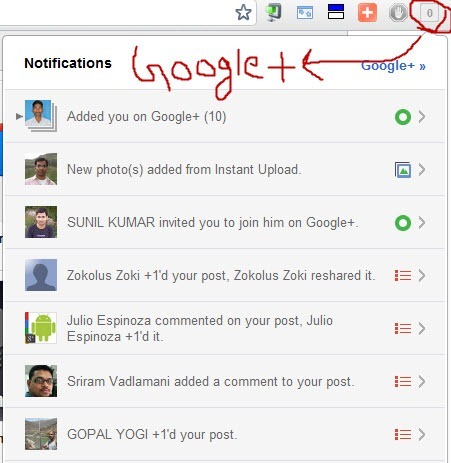 Now you can get updates and notifications from your Google+ while browsing other webpages on Chrome. Google has released the official notification extension for Chrome browser which is able to keep you updated. Once you will install the extension on your browser, a notification icon starts appearing on address bar, as like other extensions. That will show you the notification number similar to the Gmail page on top right corner. You can get the details about the new notification by clicking on the icon. Google changed the look of Gmail and Google Reader to make them look like Google+ and even they are upgrading the Android app for Google+ to add more features and to make that more convenient. It seems that Google is not going to leave Google+ die like other initiatives, for example Google Buzz and Google Wave. Google+ is having so many nice features like circle, hangout, direct message etc. and after integration with other products like Google Reader, it will become a single place to hangout with friends. The only problem is that you will find most of your friends on Facebook and that’s why it may take time for Google to attract users. Anyway, if you are using Google+, now you can get the notification on Chrome browser even when you are not on Google+ page. Install the extension and enjoy the notification on your browser.